I have woken up every morning to the sound of ringing bells and fragrant billows of incense. I’ve learned how to sing Sanskrit prayers to Krishna, a Sanskrit name for “God,” and I love it. They’re fun to sing, have beautiful meanings, and allow me to express myself. 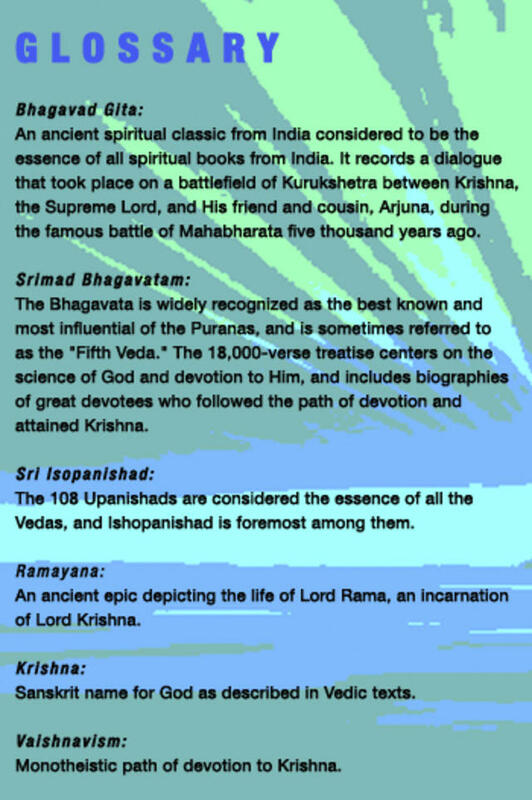 Over these years, I’ve learned a lot about the philosophy of Vaishnavism by reading and studying books like the Bhagavad-Gita, Srimad Bhagavatam, and Sri Isopanishad. 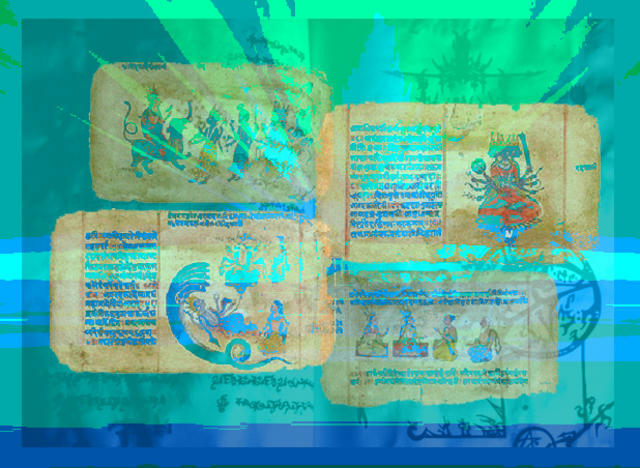 At the age of eight I started listening to lectures about the Ramayana and Krishna. I enjoyed them tremendously and was enthralled by the beauty and humanity in these ancient tales about God. Soon I was listening for hours upon end, finding a deep sense of peace and relaxation in them. It is something I still love doing. In conjunction with my readings of Vedic books and conversations with my parents, these lectures became my primary source of spiritual knowledge and inspiration. Seeing science explain things in such a logical manner has made me want to explore the things I’d learned about God in a similar way. It makes me question what I already know. My scriptures told me that God made the planets revolve around each other but science tells me that gravity is the source. I debate between the two. Science shows me a perfect machine and nothing more. But could the source of gravity be God? I realize that that the logic of God’s existence is indisputable. Being born into a religious family has many advantages, but I’ve never been challenged to think about the existence of God. I have always taken it for granted. My art teacher always tells me that taking a step back and looking at a painting with fresh eyes leads to amazing revelations. I started an online course offered by Stanford this year called “Textual Analysis and Argumentation.” I studied several American writings from colonial times, many of which had dominant spiritual themes. It was a beautiful experience to see the world through the eyes of different faiths. I read writings such as Paradise Lost and The Pilgrim’s Progress. Not only is this course helping me become a better writer, it is helping me look at my faith through a different lens. It is like looking at a painting with a fresh vision and seeing nuances I’d never noticed before. I was reading “A Model of Christian Charity,” a Puritan sermon from the 17th century by John Winthrop, and he talks about loving and respecting fellow humans and Christians. In his writing he uses a striking example; he describes how the mouth does the work to nourish the rest of the body but, in the act of giving, the mouth itself is nourished. In fact, the mouth gets the greatest pleasure. Similarly, in giving we gain the greatest gratification. This example reminded me of something similar I had read in the Srimad Bhagavatam, bringing out a deeper meaning in that familiar text. This revisiting and re-exploring of old concepts, through new eyes, has helped me go deeper into my understanding. Nimai is 14 and attending high school at Friends Meeting School in Ijamsville, MD. He has been practicing Vaishnavism, a monotheistic tradition within Hinduism, since his childhood. He loves to read and write and is currently working on a fiction novel. He also enjoys painting and singing kirtan, spiritual music from India. Nimai lives with his parents in Germantown, MD.